If Jinnah rallied for the partition as vehemently as popular media discourse might tell us, then why would he reject the Cripps Mission of 1942 and support the Cabinet Mission plan of 1946? An in-depth inquiry into events prior to the Partition presents Indians with a different narrative of political actors and communal rights. Most Indians are familiar with the postcolonial narrative that the All India Muslim League had been demanding for the creation of a separate state for Muslims, i.e. Pakistan, since 1940 under the leadership of Muhammad Ali Jinnah. Accordingly, the Indian National Congress is remembered as the organisation whose attempts to ensure Indian unity were continuously thwarted by the League, which had the wholehearted support of the British Government. As both countries approach 70 years since Independence this month, a closer inspection of some focal events presents this dominant narrative as factually incorrect and fundamentally biased. The Lahore Resolution of 1940 has been referenced as the first outright demand made by the Muslim League demanding a separate state of Pakistan. For starters, the Lahore resolution never uses the word ‘Pakistan’ to describe the proposed consolidation of the Muslim majority provinces. In the event of the creation of an independent state comprising of Muslim majority provinces, the Lahore resolution also discusses a potential confederation with the remaining Hindu majority provinces. If Jinnah rallied for the Partition as vehemently as popular media discourse might tell us, then why would he reject the Cripps Mission of 1942 and support the Cabinet Mission Plan of 1946? In fact, it was Chakravarti Rajagopalachari ─ who would later become independent India’s first non-British Governor General ─ who first proposed the partition of the country as a solution to the Hindu-Muslim animosity in 1942. The C.R. Formula, as it was referred to, explicitly stated that the Muslim League would accept the Indian demand for independence and would co-operate with the Congress to form a transitional government; it included provisions for the transfer of population and a mutual agreement concerning essential matters such as defence, communication etc. The C.R. Formula later began the basis of negotiation talks between Gandhi and Jinnah in 1944. These talks soon broke down and widened the gap between the Hindus and Muslims. Jinnah consistently rejected the C.R. Formula and tried to convince Gandhi to accept and understand the terms of the Lahore Resolution. For Jinnah, these talks were a path towards initiating larger conversation on a Hindu-Muslim settlement, possibly to ensure more rights to the Indian Muslims. Here, it is important to remember that Jinnah opposed the usage of ‘Pakistan’ by the Hindus. In his Presidential Speech at the Muslim League session in April 1943, Jinnah made his displeasure apparent – he claimed that the name of Pakistan had been imposed on them by the Hindus and that the 1940 Resolution has been wrongfully associated with the demand for Pakistan by the British Press and the Hindus. If Jinnah indeed rallied for the Partition as vehemently as popular media discourse might tell us, then why would he reject the Cripps Mission of 1942 and accept the Cabinet Mission Plan of 1946? For perspective, the Cripps Mission of 1942 specified that any province or princely state which did not wish to remain within the Indian union could secede, form its own constitution and would then be accorded the same status as the Indian union. The Cabinet Mission Plan of 1946 explicitly rejected the demand for Pakistan; instead, it proposed the compulsory grouping of Muslim provinces and another group consisting of Hindu provinces. The dissonance between the events described above and Jinnah’s alleged motives tell us that Jinnah did not intend for the subcontinent’s Partition to occur in the manner that we perceive it today. 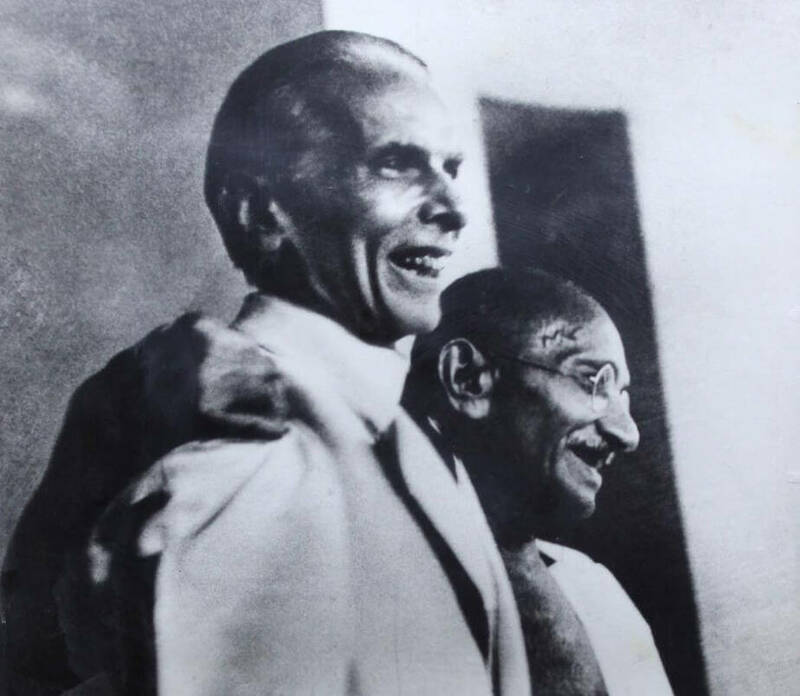 What seems more plausible is that Jinnah used the League’s demand for Partition as a bargaining chip to ensure constitutional rights for the Indian Muslims so that they would have a significant voice in matters of national importance. 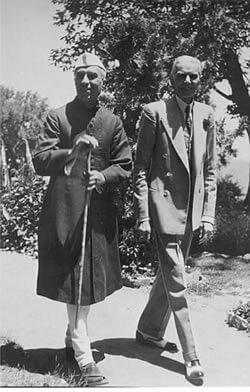 In order to avoid the establishment of a Hindu Raj, Jinnah used the demand for Partition to try and corner the Congress ─ who were rallying for a united India ─ into entering negotiations with the Muslim League. Jinnah hoped to use such negotiations to secure constitutional rights for Indian Muslims as a pre-condition of a united India. However, Jinnah was playing a fine balancing act and there were many opportunities for him to fulfil his alleged goal of Partition and the creation of a separate Islamic state for the Muslims. Jinnah staved off pressure to form an Islamic state by telling Nawab Bahadur Yar Jung that the Constitution of Pakistan would be exactly what the representatives and the people themselves wanted. Even when the United Bengal plan had been proposed, he was still staunchly secular. It was Jinnah who argued for the unification of Bengal. In May 1947, he requested for a corridor between the Eastern and Western halves of Pakistan; in June 1947, he proposed that the constituent assemblies of the two new states should meet in Delhi. These instances substantiate that Jinnah was sceptical of the geographical viability of the two Muslim majority provinces which would be separated by thousands of kilometres of Hindu-dominated regions. It is imperative to trace how much of today’s turbulent mistrust between India and Pakistan can be traced back to partition. When the Cabinet Mission Plan was initially presented, the Muslim League was the first organisation to accept it, followed by the INC under Maulana Azad. However, when Jawaharlal Nehru became the President of Congress, he declared that the Congress was “uncommitted” to the plan and rejected parity with the Muslim League in the Interim Executive Council. The Congress desired freedom amidst unity, but Nehru made sure to emphasise the importance of maintaining a strong centre so as to hold the reigns of post-independence India. Maulana Azad himself said that within a month of Mountbatten’s arrival in India, Nehru, who had previously been opposed to the Partition, had begun to support it. One could postulate that the Congress leaders had been contemplating Partition even before Mountbatten came to India. After the Lahore Resolution became public knowledge, Gandhi said that the Muslims should have the same right to self-determination. Even Nehru was pleased by the Resolution because it simplified the complexities of proportionate representation in the legislature and services for him. In fact, Nehru may have discovered the truth about the balancing act Jinnah was playing at the time; evidence lies in a letter written by him to Stafford Cripps in January 1946 in which he says that Jinnah was not after Pakistan but ‘something else’. Nehru admitted that the age and exhaustion of the freedom fighters may have contributed to their decision to agree to the Partition and that they expected the divide to be a temporary settlement. In contrast, Sardar Patel went on to proclaim that “it is time to cut the diseased limb” and be done with the Muslim League. Quickly enough, the Congress and Mountbatten realised that they had a common objective. If Partition took place quickly enough, the British would leave India fast and the Congress would realise their goal of establishing a strong centre. In the Indian mainland, Muhammad Ali Jinnah has come to be seen as a power-hungry politician who galvanised Indian Muslims by fostering disharmony amongst the Hindus and Muslims. These popular narratives make assumptions about Jinnah which are inconsistent with crucial events that took place during the Indian National Movement. The end-result is that Jinnah realised “his dream” of Pakistan. Or so we have been made to believe; an in-depth inquiry into events prior to the Partition of the Indian subcontinent presents Indians with a different narrative of political actors and communal rights. 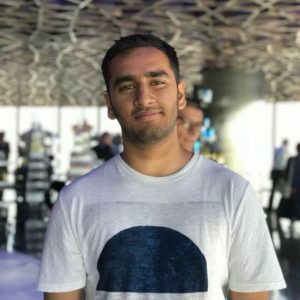 Previous articleIs the Sports Industry India’s Next Big Thing? Very Informative to read.Indepth research into historical facts.It has been articulated very well.